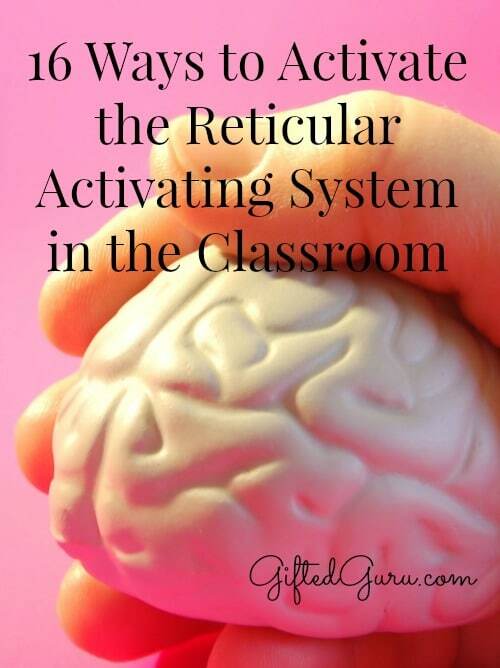 The Reticular Activating System is either your friend or your foe as a teacher. I recommend making it your friend, and I’ve got 16 tips to help you activate the RAS in the classroom. With its help, students are awake, alert and engaged. 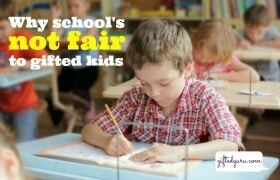 If it’s working against you, students will be sluggish, sleepy and checked out. If you’re not familiar with it, you can watch this video to get a quick intro to one of the most fascinating and influential systems in your body (which, you must admit, is saying something). So let’s say you’re interested in making friends with your students’ RASs. How do you do it? Here are 16 easy-peasy ways to keep any RAS in the vicinity of your teaching on high alert. Move around the room as you talk. When you’re going to make an important point, stand still, but as you’re conducting questioning or discussion, move all around – not just back and forth across the front of the room like a fish in a tank. Use your space. Gesture while you speak, using animated hand and arm movements or facial expressions. My grandparents are deaf, so I got a little head start on this, but anyone can make speech more of a full-body exercise. Don’t be afraid to make your gestures large. Break the plane of your body. Use a story to illustrate important concepts. Cull the media (even social media) for example stories. You can use celebrity relationships to explain virtually every principle of physics. Try it. Ask a question and then pause for at least five seconds rather than for a shorter period. Use facial expressions to make silent commentary on the insightfulness of the question, put your index finger to your chin and look off into space, or widen your eyes as you wait. Use humor or an anecdote. Humor is a jolt to the RAS. Use topic-related visual aids as you talk such as photographs, cartoons or charts. Tangible objects are great – not all visual aids need to (or should) be on a screen. Get the students to participate in short review activities. Intersperse these throughout a lesson, as opposed to having an entire class period set aside for mega review. Ask the students to stand and stretch if they have been sitting for some time. Use brain breaks. Get ideas from my favorite brain breaks website. Get them to draw simple diagrams on a whiteboard or piece of paper to represent what they have learned. Even better, teach a little visual notetaking. Watch this video for a brief intro to it. Ask them to create a question about the material you have delivered. Use quiz games. You don’t need to reinvent the wheel here – lots of games are already made. Try FlipQuiz to create your own or find ones other teachers have already created. You can also change the physical environment of the venue. This is an underrated and often ignored aspect of student engagement. Change the layout of chairs from theater style to classroom style or to round tables, even within the same class period. 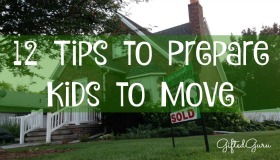 Practice moving in and out of different arrangements quickly. Time yourselves. Add aromas such as lavender, citrus or apple to create a different atmosphere. Studies have shown that peppermint improves memory and cognition. It works as either a smell (so use a diffuser to spread the scent of peppermint oil in the room) or eating peppermint candy. Play background music that either energizes or relaxes your audience. Search YouTube, Pandora or your music media of choice for “classroom music” or “concentration music.” Avoid music with words if you’re working. It’s competition for verbal processing, so stick with quick instrumental pieces. Decorate the classroom and change it up every now and then. Avoid sensory deprivation tanks that never alter. Really, if you take the borders off of your bulletin boards, is the paper underneath fifteen shades darker than the paper in the rest of the bulletin board? That’s a sign. I was inspired to write this post after reading Sharon Bowman’s The Ten-Minute Trainer. How do you use celebrity relationships to teach the principles of physics? Above you write,”You can use celebrity relationships to explain virtually every principle of physics. Try it.” I was wondering if you had some examples. Angelina Jolie throws her wedding ring off of a cliff horizontally at 10 m/s from a height of 122.5 meters. How long does it take the ring to reach the ground? What is the horizontal displacement? What is the ring’s final velocity? Keith Urban’s tour bus is a uniform beam, which shows that singers love physics. It is 6 meters long and of 36 N weight. An alien from outer space is lifting up the bus vertically by a force at the 3.5 meter mark. What is the minimum force to do so? To impress Selena Gomez, a high school junior from Nebraska holds a uniform beam of 1 m, supporting it at the 50 cm mark. Given that a weight of 2 N hangs at the 30 cm mark, at which position must the high school student hang another weight of 2 N to balance the beam? Very great to learn more ideas and new positive Techniques on how to teach students vocabulary in the class room keep in going Mozambique.